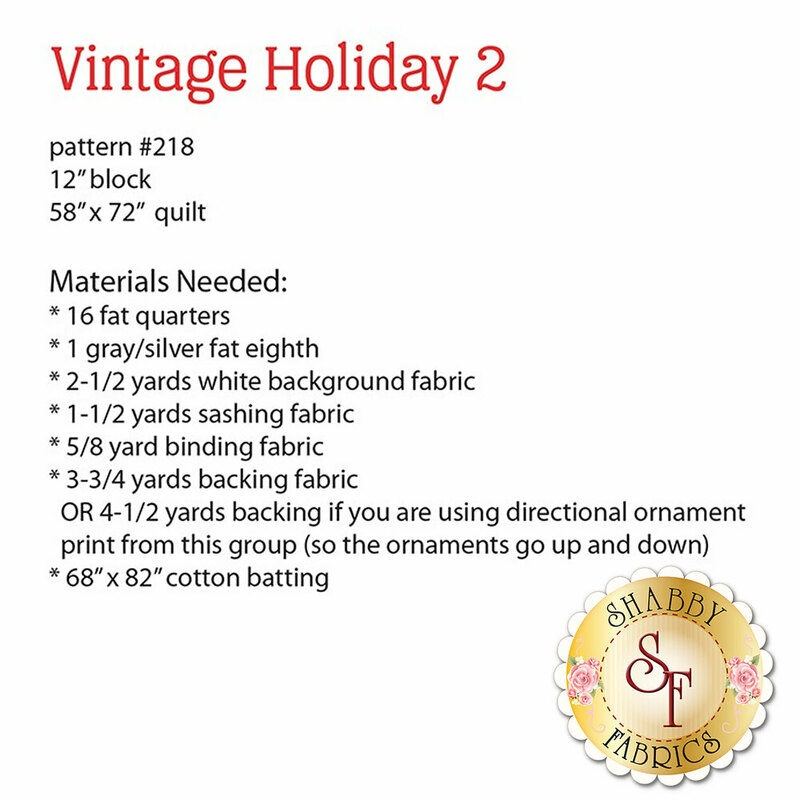 Vintage Holiday 2 is a fun and festive quilt perfect for decorating your home this holiday season! 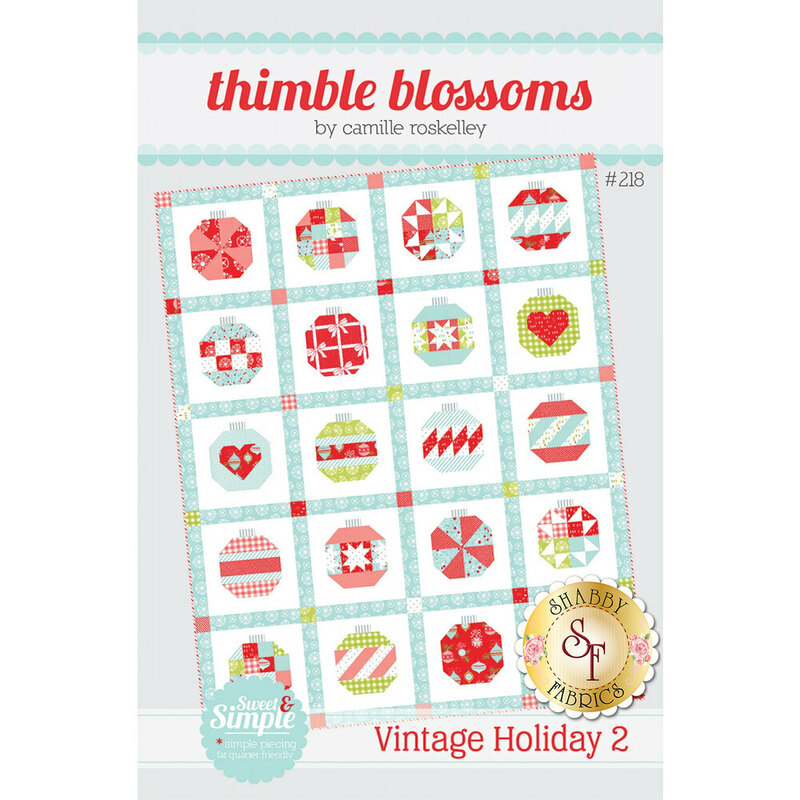 This sweet quilt is made using simple piecing and is fat quarter friendly. Block size finishes to 12". Full quilt size finishes to 58" x 72".